If you enjoy the outdoors, love nature, or enjoy the smell of fresh cut grass, then a lawn care or landscaping business is your chance to rake in plenty of green. Your business can range from lawn maintenance to applying chemicals, trimming and shaping trees to designing landscapes for residential or commercial jobs. 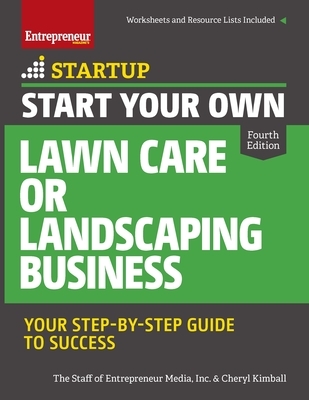 Everything you need to start a successful lawn care or landscaping business is in your hands. Start turning green grass into cold cash today. For more than 30 years, Entrepreneur Media, Inc., has set the course for success for millions of entrepreneurs and small business owners. We'll teach you the secrets of the winners and give you exactly what you need to lay the groundwork for success.